A yurt is a round, portable tent that has been used by nomads for hundreds, if not thousands, of years, and they have been traditionally covered with animal skins for protection from weather. 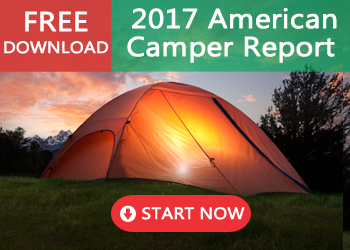 Yurt tents have now become a staple of the modern camping world as the latest yurt designs are lighter and easier to assemble out in the field. Yurt tents are practical for families or large groups, and they come in a variety of sizes and designs. They are easy to use, much like small tents, but not all yurt tents are the same quality, and there is definitely a big price range when it comes to yurts. Some offer more amenities while others offer more practicality. 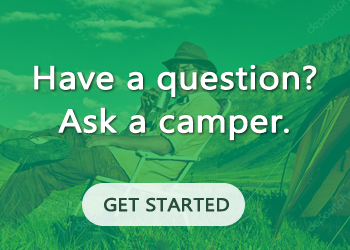 We picked a few similar yurt tents to see how they compare with one another using basic scoring system, but you want to make sure you choose one that suits your needs the best. This yurt is large enough to fit three queen air mattress and still have room to walk around. Its simple design makes it ideal for family outings and individuals who want to get out and have an adventure. With plenty of room and a good price-point, this budget-friendly yurt tent is ideal for those ready to explore the great outdoors. You can purchase the Coleman Montana 8-Person Tent for around $140 to $170. At 16 by 7 feet, the Coleman Montana 8-Person Tent is large enough to fit three queen-size air beds, and the center height of over six feet makes it easy to move around the interior space. A hinged door design allows for easy entry and exit though you may have to shimmy your way past your sleeping partners if you’re the first one awake because there is only one. The Coleman Montana 8-Person Tent assembles in about fifteen minutes. It comes in an expandable carrying package for easier access to pack and unpack. The Coleman Montana 8-Person Tent is designed to offer a comfortable camping experience you can depend on. The tent windows offer considerable cross ventilation, and you can open them at an angle to let in light but keep out the rain. This yurt tent makes use of the WeatherTec system, and inverted seams and corner welds help you stay dry in any weather. It’s got a cabin-like design but has no room dividers, so there is no privacy within the yurt. Contact Coleman’s warranty claims department at 1-800-835-3278 for information on this yurt tent’s warranty. You can get this yurt tent from Amazon from $150 to $175. Who’s ready to camp? 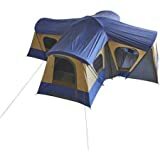 The Ozark Trail Base Camp 14-Person Tent is ready to take you to the great outdoors! It’s got loads of room and can be assembled in a flash, so whether you go out alone or with the whole family, this yurt tent is a great choice. You can purchase this yurt tent on Amazon for around $170 to $200. This 14-person, four-room yurt tent boasts 235 square feet of living area. It can fit five queen-sized air beds – or 14 sleeping bags – while leaving plenty of room for children to play in. There are four doors, making it good for those who want privacy, and while it’s more expensive than other yurts on the list, offers plenty of elbow room. Two people can assemble this yurt in about 20 minutes with little trouble. The ventilation system of this tent is excellent and the mesh roof keeps mosquitoes and other insects outside. Campers can remove the roof fly to sleep beneath the stars. Since each room has its own access point to the main part of the yurt tent, people can come and go without disturbing others. It boasts good standing room besides, so there’s no slouching to shuffle through. Ozark does not back their products with a warranty, and customers must purchase spare parts, such as tent poles, from a third party. This yurt tent is available on Amazon with a price tag that starts at $175. Sleeps 9 people; Fits three queen air mattresses; Center Height: 72"
Got nine sleepy campers? This could be the yurt tent for you. It’s roomy and well ventilated, but also uses great water repellent fabrics to ensure a dry stay. It only weighs 20 pounds, so it’s easy to transport in its carry bag. The interior features a gear loft, lamp hook, and organizational pockets, making it both spacious AND space saving. 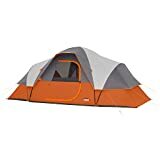 Excited campers can purchase this yurt tent on Amazon for around $135 to $160. Easy to go up, easy to go down, this tent, while a smaller model than our previous mentions, is a good medium for what it provides. It’s not as expensive as others on our list and it provides excellent air flow while not compromising the water resistance of the yurt tent. Plus, its interior seems a lot bigger than it seems from the outside, so it also provides a higher level of comfort. Besides, no one wants to shove themselves into a sleeping bag inside a tent that feels like it’s only slightly larger than the sleeping bag itself. 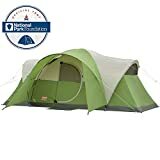 This tent is easy to set up and tear down. It may take approximately 25 minutes the first time, especially if you’re alone and take the time to read the instructions, but once you know how to do it, it only takes about 10 minutes with another pair of helping hands. The interior is spacious, so it feels more like a retreat than it does a campsite. It’s well ventilated at the bottom so it doesn’t feel stuffy, as warm air rises to the top and exits easily. There are zippered wall and door panels to allow for privacy, but no designated separation barriers, so keep that in mind. Offers a limited one-year warranty against defects. This product is available on Amazon from $140 to $150. This yurt tent is suitable for camping 365 days a year, and it is safe to use a stove inside, so it comes with two stove jackets. The canvas is UV and mold resistant, fire retardant, and waterproof. The floor is made of heavy-duty PVC, and the windows and doors are made of a very dense material that will keep you protected from insects. Basically, this thing could replace your house because it’s just like authentic nomadic yurts. This yurt tent can be purchased for around $650 to $750 on Amazon. You can use this yurt in the winter, summer, spring, and fall, and its heavy duty design is meant to withstand the elements and keep campers happy. It’s got windows with screens so it’ll keep the bugs out but allow the air in, and when it gets cooler out, being able to use the stove inside is a great perk. You can assemble this yurt tent by yourself in only 20 minutes. The peak height of this yurt tent is 9’10” so nobody will have any trouble walking around inside. It’s round like a traditional yurt so there are no interior walls or extra storage, but the outer walls can be raised in warmer months, so ventilation will never be an issue. In the winter time, the overall design already incorporates the stove, and its fire resistant canvas means it’s safe to have a heating element inside. The floor space of this tent is 216 square feet, and it claims to be ideal for up to eight people, meaning everyone gets 27 square feet of space. Unfortunately, we could not locate warranty information for this yurt tent. This yurt tent is just over seven feet tall, and it’s ten foot by fifteen feet wide. It can be constructed as one large space or divided into two rooms, and it features storage pockets, large windows, and open ventilation areas. Total sleeping capacity is eight (four per each room) and it can be used by campers and hunters alike. You can pick up a Browning Camping Big Horn Two-Room Tent of your own for about $230 to $260. This yurt tent is simple to set up even though it’s not as simple as a pop-up tent. The parts come individually out, so it takes a little more time to set up, but can still be set up by one person. It has 150 square feet of space, so it’s spacious but not as large as other models. You can raise or lower the divider to suit individual needs so it provides plenty of space and privacy. You can assemble this yurt tent by yourself in only 15-20 minutes. Storage, storage, storage! It’s got two doors and six windows, so it can become well ventilated as needed. Although it’s not meant for year-round use, you can use it during rain without worry. It boasts extra-wide zippers and a rain fly that keeps the interior dry. At 34 pounds, it isn’t best suited for carrying in a backpack, but it is a great deal for the money and space. Hands down, we recommend the Core 9 Person Extended Dome Tent. 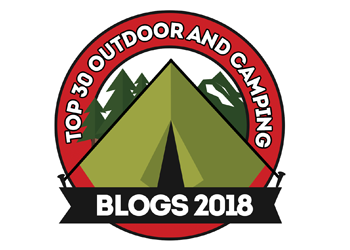 We give it an overall rating of 4 out of 5 stars because it’s an excellent product for the price, but if you’re looking for a tent that provides all-season coverage, your best bet is the Danchel Stand Bell Tent with Stove Jacket.